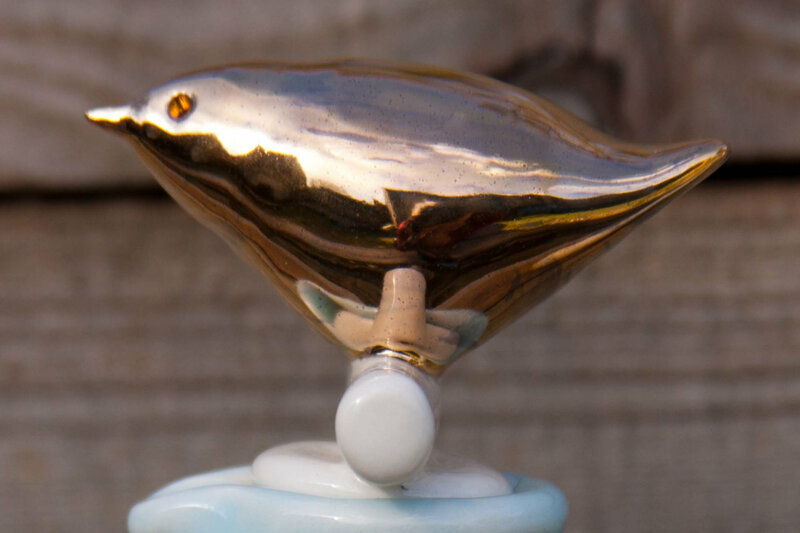 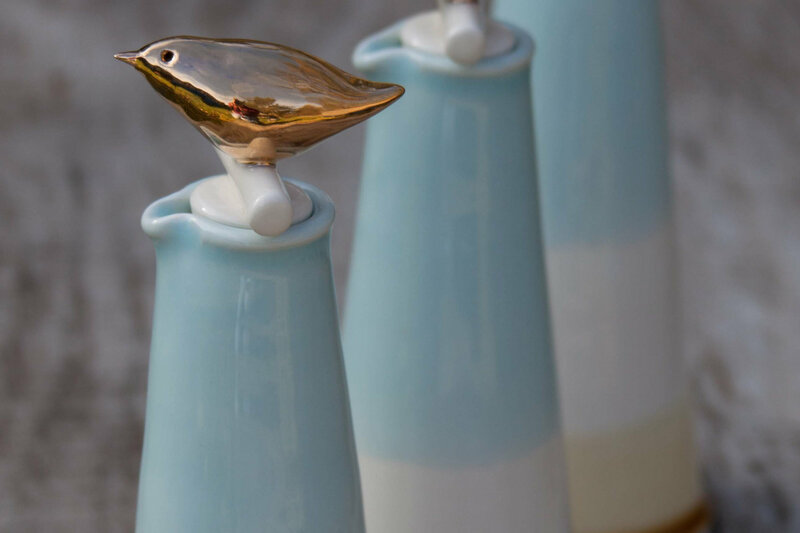 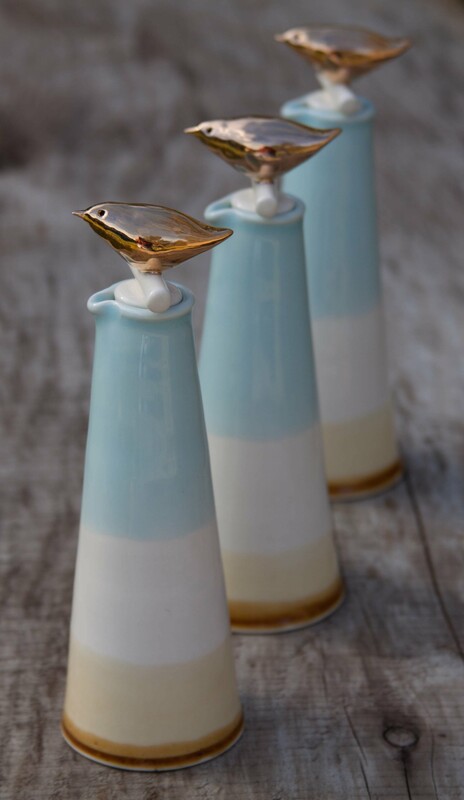 Hand thrown white earthenware pourer, thrown stopper and gently manipulated to form a little bird. 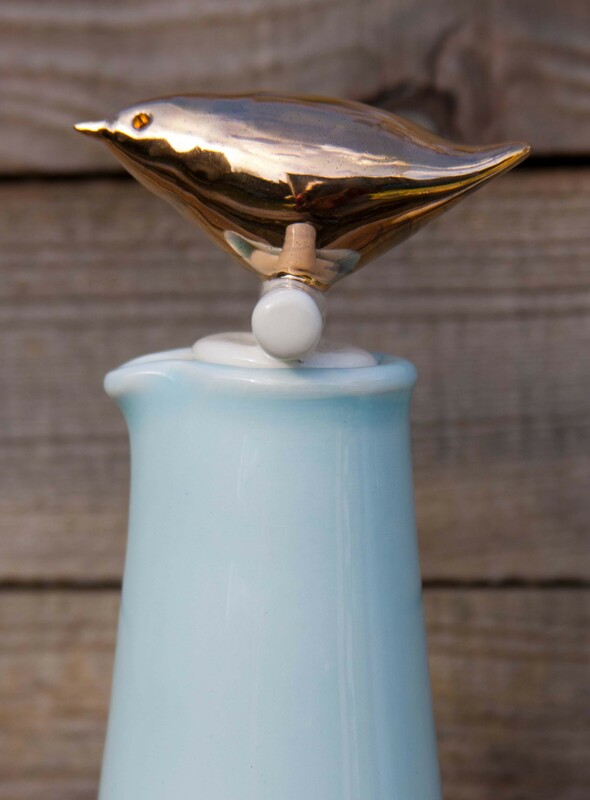 Glazed with accents of blue and iron red and gold lustre. 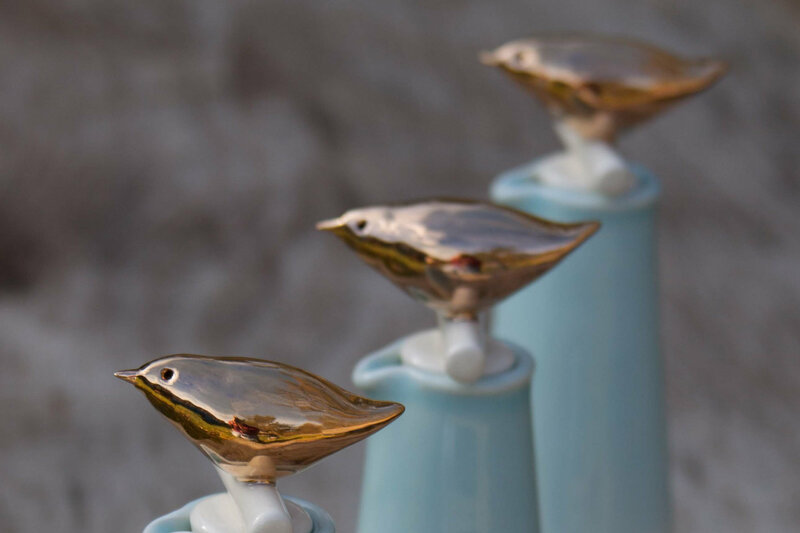 An exciting and surprising gift to give to anyone or any bird lover.